South Park Still Looks Amazing, But Should We Be Worried? For almost two years now, I've been following South Park: Stick of Truth with feverish anticipation. As I've written before, it's the type of game that feels like it was made just for me. The stellar writing of South Park's creators combined with JRPG-like combat and springy, vivid animation that feels like it was ripped straight out of a TV? Yes. Yes! Bring it on, Obsidian. But... I'm worried. I'm worried because it's almost September, and Stick of Truth still has no release date. "Wait a minute," you are undoubtedly thinking. "Didn't Ubisoft say the game will be out this fall-slash-winter?" They did. In the most recent trailer for Stick of Truth, Eric Cartman drops the bomb: "Coming this holiday season. Or some holiday season, hopefully kind of soon. You know how video games are." It's also undoubtedly tough for the team to coordinate with Trey Parker and Matt Stone, who are brilliant, but not particularly experienced at making video games. They're used to the pressure-filled schedule of a six-day production timeline, where they can change whatever they want, whenever they want. That sort of mentality might not work so well for a video game. So I'm worried—worried that we'll see more delays. Worried that the rest of Ubisoft's fall games all have specific release dates—Rayman, Watch Dogs, Assassin's Creed IV—but Stick of Truth is still up in the air. 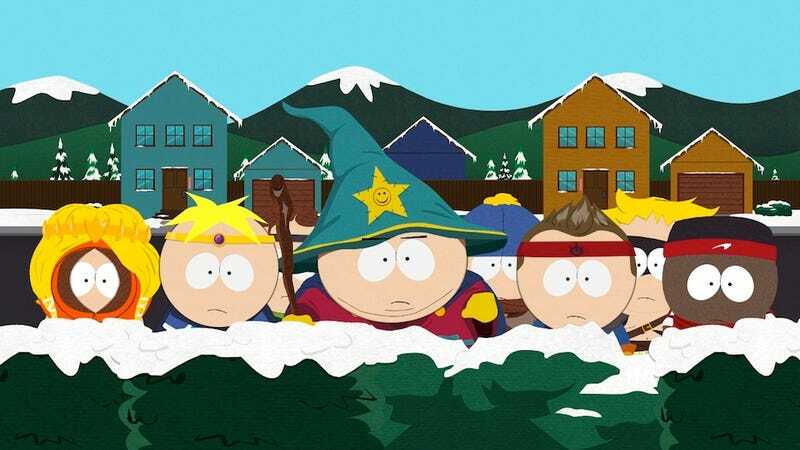 Worried because Ubisoft has a habit of releasing lots and lots of trailers, but we've only seen two or three from the South Park RPG. I reached out to Ubisoft this morning to ask if they really still plan to release the game, but they haven't gotten back to me. Today the publisher released some new screenshots. They look fantastic. Hopefully I'm just being paranoid.